All kids can feel bad about themselves at times -all kids can be teased at times -so all of that is normal. It’s how we help them deal and learn to overcome. It’s how we deal with teasing, and how we teach our children and those that tease them to respect themselves & others that counts. Not all children with speech impairments have to be teased, or teased more than the norm. The following is a collection of information to help prevent your child from being teased, and how to help if your child is being teased. The main goal is not to raise your child so that they have a strong healthy self-esteem as they go through life. Self esteem is so precious -and important to keep high for our children. Sometimes it’s not teasing or bullying but alienation. The child is ignored by other children and has no friends. 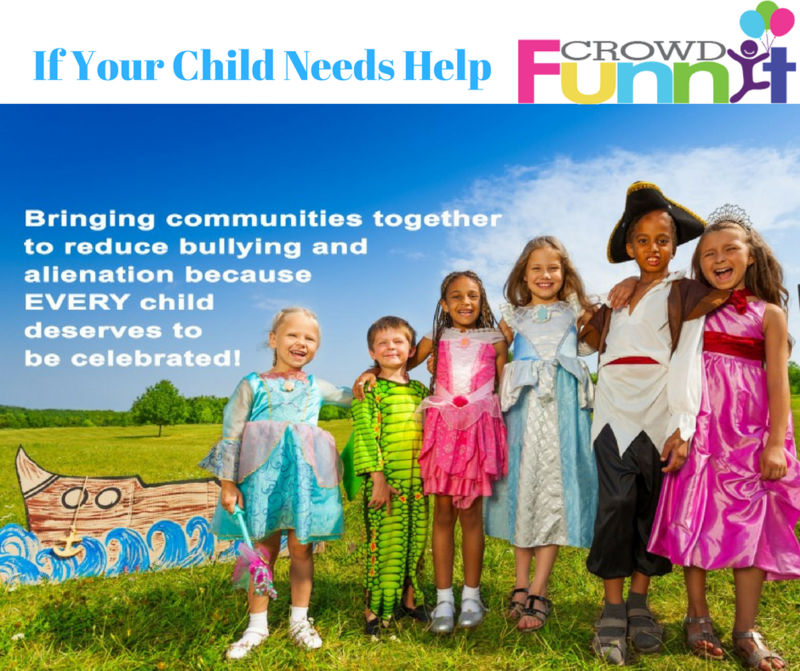 The reason we started crowdFunnit was that we want to try to proactively put an end to bullying and alienation by throwing crowdsourced birthday parties for children who have painfully had to go through birthday parties where not one other child showed up. At the core crowdFunnit brings people together, raising awareness about differences while fostering acceptance and compassion. Helping a friendless child celebrate a birthday is just an incredible mechanism by which to help make this happen. The party itself and any media attention it brings will help fight bullying at the root while the community connections will exist long after the party ends. A special issue of American Psychologist provides a comprehensive review of over 40 years of research on bullying among school age youth, documenting the current understanding of the complexity of the issue and suggesting directions for future research. The special issue consists of an introductory overview by Hymel and Swearer, co-directors of the Bullying Research Network, and five articles on various research areas of bullying including the long-term effects of bullying into adulthood, reasons children bully others, the effects of anti-bullying laws and ways of translating research into anti-bullying practice. The experience of being bullied is painful and difficult. Its negative impact — on academic functioning, physical and mental health, social relationships and self-perceptions — can endure across the school years. But not every victimized child develops into a maladjusted adult. In this article, the authors provide an overview of the negative outcomes experienced by victims through childhood and adolescence and sometimes into adulthood. They then analyze findings from prospective studies to identify factors that lead to different outcomes in different people, including in their biology, timing, support systems and self-perception. A Relational Framework for Understanding Bullying: Developmental Antecedents and Outcomes by Philip Rodkin, PhD, and Dorothy Espelage, PhD, University of Illinois, Urbana-Champaign, and Laura Hanish, PhD, Arizona State University. How do you distinguish bullying from aggression in general? In this review, the authors describe bullying from a relationship perspective. In order for bullying to be distinguished from other forms of aggression, a relationship must exist between the bully and the victim, there must be an imbalance of power between the two and it must take place over a period of time. “Bullying is perpetrated within a relationship, albeit a coercive, unequal, asymmetric relationship characterized by aggression,” wrote the authors. Within that perspective, the image of bullies as socially incompetent youth who rely on physical coercion to resolve conflicts is nothing more than a stereotype. 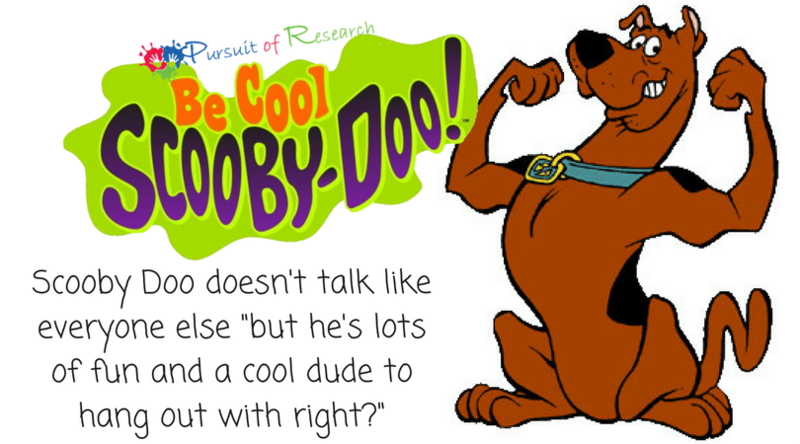 While this type of “bully-victim” does exist and is primarily male, the authors describe another type of bully who is more socially integrated and has surprisingly high levels of popularity among his or her peers. As for the gender of victims, bullying is just as likely to occur between boys and girls as it is to occur in same-gender groups. 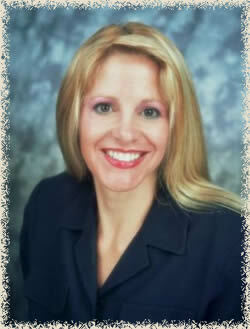 Translating Research to Practice in Bullying Prevention by Catherine Bradshaw, PhD, University of Virginia. This paper reviews the research and related science to develop a set of recommendations for effective bullying prevention programs. From mixed findings on existing programs, the author identifies core elements of promising prevention approaches (e.g., close playground supervision, family involvement, and consistent classroom management strategies) and recommends a three-tiered public health approach that can attend to students at all risk levels. However, the author notes, prevention efforts must be sustained and integrated to effect change. Law and Policy on the Concept of Bullying at School by Dewey Cornell, PhD, University of Virginia, and Susan Limber, PhD, Clemson University. Since the shooting at Columbine High School in 1999, all states but one have passed anti-bullying laws, and multiple court decisions have made schools more accountable for peer victimization. Unfortunately, current legal and policy approaches, which are strongly rooted in laws regarding harassment and discrimination, do not provide adequate protection for all bullied students. In this article, the authors provide a review of the legal framework underpinning many anti-bullying laws and make recommendations on best practices for legislation and school policies to effectively address the problem of bullying. Understanding the Psychology of Bullying: Moving Toward a Social-Ecological Diathesis-Stress Model by Susan Swearer, PhD, University of Nebraska-Lincoln, and Shelley Hymel, PhD, University of British Columbia. We chose to talk to Tanner about his speech impairment in a child appropriate way prior to him entering kindergarten just in case he was teased, or wondered why he had to work so hard on something that came so easily to others -talking. And the good news is that in addition to what you already did -it’s not to late to add a bit more if you feel appropriate. I found it to be most important for school age children with speech impairments. I told Tanner that I was an artist in New York for years -so the word different for me is not a bad thing at all -normal was a bad thing to me! Being different is not unusual anyway -we are all different. You can ask your son how many people in his school/does he know that wear glasses. Remind him that wearing glasses means that person needs help seeing, just like he needs some help talking. Their vision may not be as good as yours, you can say, but that doesn’t mean that those people can’t do or be whatever they want -just like you. I told Tanner about Helen Keller -and about the diamond “A diamond is a lump of coal that was put under intense pressure for a long period of time” It all seems to work. Tanner’s always had a high self esteem, and as he aged -we even make him more aware of what his apraxia is and how he has overcome it – as you will read in the following -it’s all in a good way. Just like in The Late Talker book we explained how to relieve frustrations in a “late talker” child -the same strategies do work for the older ones too. “Tanner when you were a little baby you had very high fevers that caused a boo boo in here. (I touched his head) But what you did was amazing Tanner! You see, most of us only use a tiny bit of our brain, and most of us learn to talk the same way -but you have somehow developed another pathway to talk using more of your brain…which actually makes you smarter than the rest of us! Now this is the thing, sometimes people who don’t know just how smart you are may judge you based on how you talk and even call you names. This is because they don’t feel good about themselves, or they don’t feel as smart as you. So don’t get angry with people like that who don’t use as much of their brain as you do. And always let us know if someone ever says anything bad to you. Since we’ve moved from New Jersey -I now tell Tanner (stretch the truth a tiny bit) that if he wants to ever feel normal he can move back to New Jersey where all the kids his age just about have apraxia. I tell him that the people where we live in Florida are not used to people with speech problems, so some could prejudge him, but he can prove to them just how smart he is. And he always did. I’ve pointed out to Tanner that due to his “late talking” he has an “amazing memory” and he has always been a good student. Of course, that was always just my theory and it’s one I’ve noticed in quite a few of the late talker children. Probably because their receptive ability is so much higher than their expressive and they have to remember all they want to say long enough to try to communicate it. But I presented it to Tanner as a fact, and he has always believed it- and continues to prove its reality. As Tanner grew older, he could talk -and was typically understood, but even at 8 years old his speech was still immature. He tended to keep his sentences short. If he had a longer thought he paused and broke the thought up. In general, Tanner was always expressive, let you know what he wants or how he feels -but up till the past few years, he was never very expressive verbally. For example when we saw the movie Shark Tail years ago with two of Dakota and Tanner’s friends, Tanner wanted to describe to everyone what he loved about a movie but as he was still impaired in speech more at that time he kept his comments down to short sentences, used some gestures and words like “So Cool!” -and ended with a question, “right?” As he was learning to talk, Tanner knew how to get others to talk -now that’s one of his own strategies! Tanner’s speech ability however never affected Tanner’s ability to have lots of friends. Tanner’s also received awards at school for helping others, he’s a good friend to others. My son Tanner today is 15 years old. When I asked him about teasing and bullying his response was “I never really had that problem because I had friends to back me up.” There actually were two incidences of teasing when he was little, but he probably doesn’t remember because in each situation it was addressed with a circle of friends and the bullying ended. In addition, there are strategies that we as parents, or schools, can put in place to help prevent your child from being a victim. Tanner at three years old tended to shy away from other children he didn’t know. We’ll never know for sure if it’s due to lack of self esteem or frustration from not being able to communicate, or most likely a bit of both. I can tell you that as the weeks went on -he formed friendships and grew to love his teachers and classmates. Tanner was also schooled in a hearing impaired deaf school -and I too was “warned” that he “wouldn’t have positive role models” I laugh at that! What -I live in a bubble now? My kid is at school a few measly hours a day for five days a week – and I took him to the park -therapy -play dates -life. When Tanner was at preschool -it was for therapy first, education second -social skills were a plus -but not my priority from the preschool for him. If that was my main goal I wouldn’t have fought for appropriate services and would have just stuck Tanner in a good “normal” preschool. I’ve written here before -if your child regresses around other children -he may do better on one on one -and at times perhaps not with “normal” kids. Our children are bright enough to know they are not doing what others are. And if they could “pick it up” just by being around it -we wouldn’t be here! And the advice would be -put your kid in day care and they will be fine. Well once you decide which class is the best (if either of them are) Try to get the phone numbers of some of the other moms in the class to set up play dates. If the school won’t give phone numbers to you – have a party and invite all the children and put an RSVP on the invite. Make it a “get to know each other” party! Also go and observe the class and see if there is a child or two your child appears to gravitate more. Don’t just take the teacher’s word for it -she may or may not notice -you will always notice -it’s your child. Once you meet the other parents, arrange for your children to get together with one other child at a time to do a fun planned activity where you are there to intervene (or translate!) if needed. As Amy Hagadorn rounded the corner across the hall from her classroom, she collided with a tall boy from the fifth grade running in the opposite direction. “Watch it, Squirt,” the boy yelled, as he dodged around the little third grader. Then, with a smirk on his face, the boy took hold of his right leg and mimicked the way Amy limped when she walked. Amy closed her eyes for a moment. “Ignore him,” she told herself as she headed for her classroom. But at the end of the day Amy was still thinking about the tall boy’s teasing. And he wasn’t the only one. Ever since Amy started the third grade, someone teased her every single day, about her speech or her limping. Sometimes, even in a classroom full of other students, the teasing made her feel all alone. At the dinner table that evening, Amy was quiet. Knowing that things were not going well at school, Patti Hagadorn was happy to have some exciting news to share with her daughter. “There’s a Christmas wish contest at the local radio station,” she announced. “Write a letter to Santa and you might win a prize. I think someone with blond curly hair at this table should enter.” Amy giggled and out came pencil and paper. 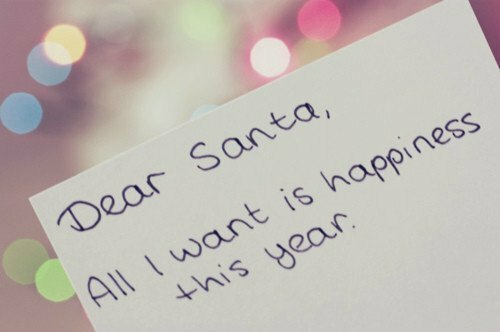 “Dear Santa Claus,” she began. While Amy worked away at her best printing, the rest of the family tried to figure out what she might ask from Santa. Amy’s sister, Jamie, and Amy’s mom both thought a three-foot Barbie doll would top Amy’s wish list. Amy’s dad guessed a picture book. But Amy wouldn’t reveal her secret Christmas wish. At the radio station WJLT in Fort Wayne, Indiana, letters poured in for the Christmas Wish contest. The workers had fun reading about all the different presents the boys and girls from across the city wanted for Christmas. When Amy’s letter arrived at the radio station, manager Lee Tobin read it carefully. My name is Amy. I am nine years old. I have a problem at school. Can you help me, Santa? Kids laugh at me because of the way I walk and run and talk. I have cerebral palsy. I just want one day where no one laughs at me or makes fun of me. Lee’s heart ached as he read the letter: He knew cerebral palsy was a muscle disorder that might confuse Amy’s schoolmates. He thought it would be good for the people of Fort Wayne to hear about this special little girl and her unusual wish. Mr. Tobin called up the local newspaper. The next day, a picture of Amy and her letter to Santa made the front page of The News Sentinel. The story spread quickly. Across the country, newspapers and radio and television stations reported the story of the little girl in Fort Wayne, Indiana, who asked for such a simple, yet remarkable Christmas gift – – just one day without teasing. Suddenly, the postman was a regular at the Hagadorn house. Envelopes of all sizes addressed to Amy arrived daily from children and adults all across the nation, filled with holiday greetings and words of encouragement. During that busy Christmas season, over two thousand people from all over the world sent Amy letters of friendship and support. Some of the writers had disabilities; some had been teased as children, but each writer had a special message for Amy. Through the cards and letters from strangers, Amy glimpsed a world full of people who truly cared about each other. She realized that no form or amount of teasing could ever make her feel lonely again. I’d like to be your friend, and if you want to visit me, we could have fun. No one will make fun of us, because if they do, we will not even hear them. As they grow older, children with communication challenges face a whole new set of frustrations, ranging from teasing to bullying. While teasing can be painful, bullying is far more severe, and may require the intervention of school personnel or even law enforcement. What can you do to help prevent your child from being bullied? First of all, encourage him to make friends. Bullies tend to pick on loners, so help him establish friendships while young. Depending on your child’s age, call parents of other children and set up play dates or sleepovers. Get your child involved with the scouts or similar organizations. Provide your child with a strong and loving home environment. You can teach healthy relationship and anger management by how you handle conflicts. Encourage independence in your child to raise his confidence. Guide her towards activities in which she can excel, such as sports, arts, computers, and dance. Everyone has some kind of talent, so help your child find hers. Contact the school if bullying continues. While The Late Talker book contains chapters to help the following are other reading suggestions. When noted kindergarten teacher Vivian Paley and her students from the University of Chicago lab school adopted a new classroom rule: You can’t say “you can’t play,” they realized that’s not how things worked in the real world. They began to see that whether or not you could play often depended on how you looked or whether you were different. So Paley and her students decided to try to make their classroom “nicer” than the real world. All children learn very early what adults around them value. Between the ages of 2 and 5, children are becoming aware of gender, race, ethnicity, and disabilities (Neugebauer, 1992). They can see how we feel about people who are different from us. And our feelings gradually begin to influence their feelings. Children do what we do, not what we tell them to do. We need to become aware of our own attitudes. Ana Consuelo Matiella encourages us to give children an environment in which they can begin to learn about differences. Our goal in this type of environment is for children to develop fairness and tolerance for differences and to learn to challenge unfair treatment of others. For the longest time, in our efforts to be fair, we have tried to treat all children alike. “I don’t even notice Kiki’s color,” her caregiver claims. Louise Derman-Sparks calls this the color-blind approach. She says that people who deny differences mean well. They are trying to counter bigotry by saying we are all alike under our skin. But this approach defines being different as something negative. When we deny a child’s differences, we ignore his uniqueness. Because children form identity and self-concept during this sensitive period of development, we must answer their questions honestly and factually. We must take the time to challenge distorted thinking, which is actually preprejudice (York, 1991). Young children watch their parents and teachers to see how they react to prejudicial ideas and comments. Our responses greatly affect the ideas that they will form. Preschool children are naturally curious about the world, and they have questions about specific things that they notice. Questions about physical, gender, ethnic, or racial differences may be difficult for some adults to answer. But the way we answer will influence the child who is concluding that something is “wrong” with a person who is different. Elizabeth Cary, author of “Talking about Differences Children Notice,” gives some guidelines for responding to awkward questions. Children are more comfortable with differences when they understand why people are different. RESPOND PROMPTLY. If possible, answer questions as soon as children ask them. If you ignore questions, children may decide that there is something wrong about the question or the person the question concerns. Children learn not to ask questions that make people uncomfortable. Prejudice often begins when children develop misconceptions based on their limited experiences. MODEL RESPECTFUL BEHAVIOR, BOTH VERBALLY AND NONVERBALLY. Many people were taught as children not to stare. They were taught so well that they avoid looking at people with disabilities at all. ACKNOWLEDGE CHILDREN’S FEARS. Some children are afraid of the unknown. They may have wrong ideas about people who are different. They may be suspicious of unusual people and resist the new and different. Fears should be accepted, and children should be offered help to deal with their fears. Helpful responses acknowledge the child’s feelings. You might say, “You’re scared of the man without legs.” Then give the child the tools and experiences to help her deal with her fear. INTRODUCE DIFFERENCES THROUGH BOOKS. It can be less threatening for some children to meet people who are different first in a book. Issues surrounding differences can be discussed in terms of the characters in the book. Then you can broaden the discussion to include children in the group or people in the community. It is important for adults to be sensitive to the unasked questions as well (Cary, 1992). If you sense that a child is confused or uneasy, try to verbalize those feelings for him. Get feelings out in the open so you can talk about them. Remember, though, that actions speak louder than words. So we must be especially careful about how our actions shape the values that children learn as they encounter the people in their world. If we don’t act, they will learn by default the messages that are all too prevalent in the world. And we’ll find ourselves perpetuating ideas that we really do not want to pass on to our children. Cary, E. 1992. “Talking about Differences Children Notice.” In B. Neugebauer (Ed. ), *Alike and Different* (pp. 11-15). Washington, DC: National Association for the Education of Young Children. Derman-Sparks, L. 1992. “Reaching Potentials Through Anti-Bias, Multicultural Curriculum.” In S. Bredekamp and T. Rosegrant (Eds. ), *Reaching Potentials: Appropriate Curriculum and Assessment for Young Children*, vol. 1. Washington, DC: National Association for the Education of Young Children. Heller, C. Spring 1993. “Equal Play.” In *Teaching Tolerance*, vol. 1, no. 1, pp. 24-37. Matiella, A. 1991. Positively Different: Creating a Bias-Free Environment for Young Children. Santa Cruz, CA: ETR Associates. Reprinted with permission from the Fox Valley AEYC, Elgin, Illinois. Children who are chronically bullied are often deeply unhappy in school, suffer from low self-esteem, and often find themselves socially rejected by their classmates as a result of the bullying. Teachers are likely to see another ‘hidden’ cost of bullying: as students are victimized, their grades frequently suffer. Take Steps to Ensure the Victim’s Safety. Some victims may be reluctant to come forward. Have children complete an anonymous questionnaire that asks them if they are bullied, whether they have witnessed bullying, and where and when bullying that they have experienced or observed took place. Act on students’ feedback by taking steps such as increasing adult supervision in locations where bullying takes place to make them safe for all students. Select or create a ‘safe-room’ that is always staffed with adults (e.g., a well-supervised study-hall, ‘drop-in’ counseling center, Resource Room). During times of the day when the student is most likely to be targeted for bullying (e.g., lunch period), assign the student to the safe-room. Examine the victim’s daily schedule. For any activities where there is likely to be little adult supervision, either make arrangements to increase that supervision or adjust the child’s schedule to eliminate these undersupervised ‘blind spots’. Pair students off randomly for fun, interactive learning or leisure activities. These accidental pairings give children a chance to get to know each other and can ‘trigger’ friendships. Consider changing the seating chart periodically to foster new relationships. Enlist one or more adults in the school to spend time with the child as ‘mentors’. (Once these adults begin to spend time with the child, they will then be likely to actively intervene if they see the student being bullied!) Give these adults ideas for how they can structure sessions with the student (i.e., playing board games, having lunch together, etc.) Suggest to the student that he or she occasionally ‘invite a friend’ to these activities. Train staff, older student volunteers, or adult volunteers to be ‘play-helpers’. Train them to organize and supervise high-interest children’s game and activities for indoors and outdoors. (When possible, select games and activities that are easy to learn, can accommodate varying numbers of players, and allow children to join in mid-activity.) Place these play-helpers on the playground, in classrooms, in a corner of the lunchroom, or other areas where students have unstructured free time. The play-helpers may also be encouraged to pay special attention to those children with few friends are likely to be socially excluded, making sure that these children are recruited to participate in organized play with adult support as needed. After a victim has been repeatedly bullied, he or she may find it very difficult to ‘stand up’ to the bully. One explanation for the bully’s power over the victim is that the bully has learned the victimized student’s vulnerabilities. If the victim then starts to resist being bullied, the bully is emboldened to persistently attack the victim (e.g., through teasing, social ostracism, or physical harm) until the victim is again overwhelmed and defeated. At the point where it has become chronic, bullying can be so ingrained that only decisive adult intervention can free the victim from this abusive relationship. When a bully first approaches and attempts to dominate a potential victim, however, the targeted student still has maneuvering room and may successfully fend off the bully by using basic assertiveness skills. The bully’s goal when targeting a student is to exploit the victim’s perceived weakness(es) in order to gain dominance over him or her. If the potential victim maintains his or her composure, stands firm, and continues to behave appropriately even when provoked, the bully will find that the supposed victim is not so weak as he or she first thought. Respond to taunts, insults, or teasing with a bland response (“Oh”. “That’s your opinion.” “Maybe.”) Don’t let bullies see that they have upset you. Say “No” firmly and loudly if you don’t want to do something that someone tells you to do. Stand straight up and look that person in the eye when you say it. Refuse to let others talk you into doing something that you will be sorry for–even if they dare you! US Department of Education (1998). Preventing bullying: A manual for schools and communities. Bullying in school is usually a hidden problem. The teaching staff typically is unaware of how widespread bullying is in their building and may not even recognize the seriousness of bullying incidents that do come to their attention. Teachers who are serious about reducing bullying behaviors must (1) assess the extent of the bullying problem in their classrooms, (2) ensure that the class understands what bullying is and why it is wrong, (3) confront any student engaged in bullying in a firm but fair manner, and (4) provide appropriate and consistent consequences for bullying. Assess the Extent of the Bullying Problem. Drop by unexpectedly to observe your class in a less-structured situation (e.g., at lunch, on the playground). Watch for patterns of bullying by individuals or groups of students. Signs of direct bullying could include pushing, hitting, or kicking. Also be on the lookout for prolonged teasing, name-calling, and other forms of verbal harassment. If you should overhear students gossiping about a classmate or see evidence that an individual has been excluded from a group, these may well be signs of indirect bullying. Note the names of children who appear to be instigators of bullying, as well as those who seem to be victims. A single teacher alone is not likely to see enough student behavior to be able to accurately pick out bullies and victims in his or her own classroom. Ask other school staff that interact with your students (e.g., gym teacher) whom they have may have observed bullying or being victimized within your class or other classes in the same grade. Note the students whose names keep coming up as suspected bullies or victims. Monitor children thought to be bullies especially closely to ensure that they do not have opportunities to victimize other children. Create a simple survey on the topic of school bullying. Have your students complete this survey anonymously. Questions to ask on the questionnaire might include “Where does bullying happen in this school?” and “How many times have you been bullied this year?” If your school administrator approves, you may also ask students to give the names of specific children whom they believe are bullies. NOTE: When administering this survey to students, you should also share with them the names of trusted adults in the building with whom they can talk in confidence if they are currently victims of bullying. Ensure That the Class Understands the Definition of ‘Bullying’. Treat others with courtesy and respect. Make everyone feel welcome and included. Help others who are being bullied or picked on. Create a shared definition for bullying with the class by having them identify behaviors that are ‘bullying’ behaviors. List these behaviors on the board. If students focus only on examples of direct bullying, remind them not to overlook indirect bullying (e.g., gossip, excluding others from a group). Tell the class that when you see examples of bullying occurring, you plan to intervene to keep the classroom a safe and friendly place to learn. When a teacher communicates to the class that bullying will not be tolerated and then intervenes quickly and consistently whenever he or she observes bullying taking place, that instructor sends a clear message to students that bullying will not be tolerated. Bullies are often quite skilled at explaining away situations in which adults have caught them bullying. When confronted, they may say, for example, “I was just kidding around” or “Nothing happened”–even when the evidence clearly suggests otherwise. You can avoid disputes with students by adopting the ‘I-centered’ rule for evaluating misbehavior. Tell your class that it offends or bothers you when you witness certain kinds of hurtful student behaviors (e.g., teasing, name-calling). Emphasize that when you see such behavior occurring, you will intervene, regardless of whether the offending student meant to be hurtful. If you witness suspected bullying, immediately approach the child responsible, describe the negative behavior that you witnessed, explain why that behavior is a violation of classroom expectations, and impose a consequence (e.g., warning, apology to victim, brief timeout, loss of privilege). Keep the conversation focused on facts of the bully’s observed behavior and do not let the bully pull the victim into the discussion. If the bully’s behaviors continue despite your surveillance and intervention, impose more severe consequences (e.g. temporary loss of playground privileges). When you confront a student for bullying, do so in private whenever possible. A private discussion will remove the likelihood that the confronted student will ‘play to the audience’ of classmates and become defiant or non-compliant. If you must call a student on his or her bullying behavior in public, do so briefly and in a business-like manner. Then arrange to have a private discussion with the student at a later time to discuss the bullying incident in greater detail. Provide Appropriate and Consistent Consequences for Bullying. Assemble a list of appropriate behavioral consequences for bullying. Include lesser consequences for isolated instances of bullying and greater consequences for chronic or more serious bullying. Share those consequences with your class. (In fact, you may want to enlist students to help generate items on the list!) Whenever a student is observed bullying a classmate, intervene and apply a consequence from the list. For example, a student who bullies during lunch might be required to spend several days seated away from his or her friends at a supervised lunch table.If a group or class participates in a bullying incident (e.g., children at a lunch table socially ostracizing a new student), hold the entire group accountable and impose a disciplinary consequence on each group member. If one of your students takes advantage of unsupervised trips from the room (e.g., bathroom break) to seek out and bully other children, restrict that student’s movements by requiring that the student be supervised by an adult at all times when out of the classroom. When you are satisfied that the student’s behaviors have improved enough to trust him or her once again to travel out of the room without adult supervision, let the student know that he or she is ‘on probation’ and that you will reinstate these school ‘travel restrictions’ if you hear future reports of bullying. Develop a ‘reward chart’ for the student who bullies. Tell the student that you will put a sticker on the student’s chart for each day that you do not receive reports from other teachers or from students and do not directly observed bullying or ‘unkind behavior’. Let the student know that if he or she manages to collect a certain number of stickers within a certain number of days (e.g., 4 stickers across a 5-day period) for good behaviors, the student can redeem them for a prize or privilege. Most students in a classroom or school do not bully others regularly and are not victimized by bullies. A common misconception about these student ‘bystanders’, though, is that they typically remain neutral or try to support the victim when they see bullying occurring. Unfortunately, the truth is that students who observe bullying are much more likely to encourage or assist the bully than to attempt to help the victim! With appropriate instruction and guidance, however, bystanders can be empowered to take an active role in preventing bullying from occurring and to report bullying to adults when it does take place. Train Student to Play an Active Role in Intervening in Bullying. [Optional but recommended] Invite individuals in your school who are ‘trusted adults’ (e.g., principal, school counselor, school psychologist, social worker, nurse) as visitors to your classroom. Tell students that these visitors are staff members to whom students can safely report incidents of bullying. Allow each visitor several minutes to introduce himself or herself and to tell students how to get in touch with them to report bullying or other issues of concern. In incidents of direct bullying, the bystander who feels safe confronting the bully should assertively remind the bully of the classroom rules for treating others and tell the bully to stop picking on the victim. If the bystander does not feel safe confronting the bully, the student should tell an adult about the bullying as soon as possible. In incidents of indirect bullying by an individual or group (e.g., malicious gossip), the bystander should not participate in the bullying in any way. If possible, the bystander should also point out to the individual or group that they are engaging in bullying behavior. If the bullying persists, the student should tell an adult about the bullying as soon as possible. Hold Bystanders Accountable for Their Actions. Whenever you or another adult witness that a bystander is participating in bullying, schedule a private conference with that student. Talk about the bullying incident and explain how the onlooker’s actions (e.g., joining the bully in calling the victim names) were hurtful. Share your disappointment that the student bystander had not attempted to assist the victim and point out ways that he or she could have done so. Impose a disciplinary consequence that fairly matches the bystander’s misbehavior. Build ‘Bonds of Caring’ Between Bystanders and Potential Victims. When students transfer to a different classroom or school midyear, they may have few friends in the new setting and therefore be an easy mark for bullies. To help these transfer students to develop relationships more quickly, create a ‘welcome committee’ of children whose task is to orient the new child to the school and to provide him or her with social companionship for the first several days. For example, the welcome committee could take the child on a tour of the school, show the student where instructional materials and supplies are stored, preview the classroom schedule, demonstrate common classroom routines such as transitioning between activities, and include the new arrival in playground games. While this welcome-committee orientation would at most last only a few days, it should give the new student a head start in building peer friendships that can protect children against bullying attacks. Older children often select younger children as targets for bullying. One proactive strategy to ‘energize’ student bystanders to intervene whenever they witness younger children being bullied is to promote positive relationships between older and younger students. You might consider assigning students to younger classrooms to serve as teacher helpers or peer tutors. Or you might train older students to be ‘playground helpers’, organizing and refereeing games and other outdoor activities. Or your entire class may ‘adopt’ another classroom of younger children and participate with them in various activities. The larger lesson to remember is that any time that you can arrange a learning or social situation in which older students interact in a positive manner with younger children under adult supervision, you forge bonds between those age groups and give older students a reason to wish to protect their younger counterparts from bullying. A subtle form of bullying can occur when children in a group or classroom decide to socially ostracize a target child. To guard against group bullying, assign a student to serve as ‘group ambassador’ whenever you form student groups for a learning activity. The ‘group ambassador’ is responsible for greeting anyone who joins the group, ensures that all members understand how they can participate in the group activities, and gives additional support and guidance to any student who needs it. (‘Group ambassadors’ should be trained to recognize when a student might need assistance and in how to provide that assistance in supportive, non-intrusive ways.) In a variation of this idea, lunch aides can appoint a different student each day to serve as a rotating ‘table ambassador’ at each cafeteria table. Again, this student would have responsibility for welcoming other children coming to the table and for intervening if other children attempt to bully a student. Some bystanders . . . instigate the bullying by prodding the bully to begin. And other bystanders . . . join in the bullying once it has begun. Most bystanders . . . passively accept bullying by watching and doing nothing. Often without realizing it, these bystanders also contribute to the problem. Passive bystanders provide the audience a bully craves and the silent acceptance that allows bullies to continue their hurtful behavior. Some bystanders . . . directly intervene, by discouraging the bully, defending the victim, or redirecting the situation away from bullying. Other bystanders . . . get help, by rallying support from peers to stand up against bullying or by reporting the bullying to adults. Why don’t more bystanders intervene? They don’t want to draw attention to themselves. Q: What is school bullying? A: School bullying can be described as a situation in which one or more students (the ‘bullies’) single out a child (the ‘victim’) and engage in behaviors intended to harm that child. A bully will frequently target the same victim repeatedly over time. A child who bullies can dominate the victim because the bully possesses more power than the victim. Compared to his or her victim, for example, the bully may be physically stronger or more intelligent, have a larger circle of friends, or possess a higher social standing. Bullying can inflict physical harm, emotional distress, and / or social embarrassment or humiliation. A: Bullying can be direct or indirect. When bullying takes a direct form, the bully confronts the victim face-to-face. Examples of direct bullying would include situations in which the victim is verbally harassed or threatened, physically attacked (e.g., punched, kicked, pushed down), or socially embarrassed (e.g., taunted, refused a seat on the school bus). In the case of indirect bullying, the bully attacks the victim’s social standing or reputation-usually when the victim is not around. A student is engaging in indirect bullying if he or she spreads malicious gossip or writes insulting graffiti about a classmate, or organizes a peer group to ostracize that classmate. Victims are at a particular disadvantage in indirect bullying because they may never discover the identity of the person or group responsible for the bullying. A: Some evidence suggests that a general shift from direct to indirect bullying takes place as children advance from elementary to middle and high school. At any grade level, boys are more likely than girls to report that they are victims of physical bullying. Schools may also tend to overlook the possibility that girls take part in bullying, both because of gender stereotypes (i.e., that girls are ‘less aggressive’ than boys) and because girls may prefer to bully using indirect means such as hurtful gossip that are difficult for adults to observe. Q: Why do some children bully? What is the ‘payoff’ for them? A: There is no single descriptive profile to help schools to identify those students who are at risk for being targeted by bullies. One important indicator, though, is the presence or absence of friends in a child’s life. Children who are socially isolated are easier targets for bullies because they lack a friendship network to back them up and support them against a bully’s attacks. A second factor that can predispose a child to be victimized is age. Older children often bully younger children. There are also two subgroups of bully victims that to present a clearer profile: passive victims and provocative victims. Passive victims may be physically weaker than most classmates, avoid violence and physical horseplay, and be somewhat more anxious than their peers. Lacking friends, these children are an easy target for bullying. Provocative victims may be both anxious and aggressive. They may also have poor social skills and thus tend to irritate or alienate their classmates. Bullies often take pleasure in provoking these provocative victims into an outburst through taunts or teasing, then sit back and watch as the teacher reprimands or punishes the victim for disrupting the class. A: Victims of bullying may experience problems with academics, because they are too preoccupied with the task of avoiding the bully to concentrate the teacher’s lecture or school assignment. They may engage in specific strategies to dodge the bully (e.g., feigning illness and being sent to the nurse to avoid gym class) and may even develop an apparent phobia about attending school. A: The term ‘bystander’ suggests that those children who stand on the sidelines and witness incidents of bullying are neutral observers. In most instances, though, bystanders are much more likely to provide encouragement and support to the bully than they are to actively intercede to help the victim (Snell, et al., 2002). Furthermore, in situations in which a group of students is bullying a child, bystanders may actively join in by taunting, teasing, or ostracizing the victim. Teachers are often surprised when they see a group of otherwise-friendly children egging on a bully or engaging in bullying behaviors themselves. One explanation for why bystanders may cross the line to help bullies is that, as part of a group, bystanders may feel less accountable for their individual actions (Olweus, 1993). Another possibility is that bystanders feel justified in bullying the victim because they have come to believe that he or she ‘deserves’ such treatment. Reach consensus as a staff about how your school defines bullying and when educators should intervene to prevent bullying from occurring. Rates of school bullying drop significantly when all staff members are able to identify the signs of bullying and agree to intervene consistently whenever they observe unsafe, disrespectful, or hurtful behaviors. Compile a ‘menu’ of appropriate consequences that educators can impose on students who bully. This menu should include lesser consequences that might be given for minor acts of bullying (e.g., mild teasing) and more stringent consequences for more serious or chronic bullying (e.g., inflicting physical harm, harassing a victim for weeks). Train staff to use the consequences-menu to ensure fairness and consistency when they intervene with bullies. Establish a policy for contacting the parent(s) of a student who has engaged in bullying. At the parent conference, school staff should attempt to enlist the parent to work with them to stop the student’s bullying. If the parent denies that a problem exists or refuses to cooperate to end the child’s bullying behavior, the parent should be told clearly that the school will monitor the child’s behavior closely and will take appropriate disciplinary steps if future bullying incidents occur. Monitor the school’s bully-prevention efforts on an ongoing basis to see if they have in fact reduced the amount of bullying among students and improved the emotional climate of the building. The school can use the same monitoring methods to track progress in bully-prevention as were first used to assess the initial seriousness of the bullying problem (e.g., focus groups, surveys, direct observation, tracking of disciplinary referrals). Share these results periodically in the form of a ‘progress report’ with school staff, parents, and students to build motivation throughout the school community for your building’s bully-prevention initiative. is overly anxious to please, and seems ready to let others say or do things without protest. Not all child abuse is physical. Emotional abuse is one of the most common and harmful forms of child abuse. Making fun of a child, name calling, always finding fault, and showing no respect can damage a child’s self-esteem. may find it hard to make friends. may avoid doing things with other children and being places where he’s expected to be loving. may tend to be pushy and hostile. might have a hard time learning, be overly active, or have problems such as bed-wetting or soiling. might act falsely grown up, having to care for adults or others far beyond what should be expected for the child’s age. When emotional abuse occurs often and over a long period of time, it can have a lifelong impact. It can affect a child’s happiness, relationships, and success. may become gloomy and depressed, unable to enjoy himself. He might do things that work against himself. could become self-destructive, injuring herself, or even attempting suicide. As with other types of abuse, parents who were emotionally abused are most likely to emotionally abuse their own children. To stop abusing, they need to become aware of how they are treating their children. Often they do not know how damaging their behavior is. If they knew what they were doing and knew how much it hurt their child, they would probably want to stop it. Visiting a pediatrician or other physician or a member of the clergy is a good way to start looking for help. He or she might refer you to a mental health expert. Also, many community agencies and churches offer parenting classes that can help you talk to your child and begin to solve your problems. • Speech may be absent, delayed, or hard to understand. The preschooler whose receptive language far exceeds expressive language may have speech delays. Some children do not talk, even though they are able. • The child may have poor articulation and pronunciation, incomplete formation of sentences, incorrect use of words. • Cognitive skills may be at a level of a younger child. • The child may have an unusually short attention span, a lack of interest in objects, and an inability to concentrate. • The child may demonstrate insecure or absent attachment; attachments may be indiscriminate, superficial, or clingy. Child may show little distress, or may overreact, when separated from caregivers. • The child may appear emotionally detached, isolated, and withdrawn from both adults and peers. Verbal abuse, causing serious emotional damage, as exhibited by severe anxiety, depression, withdrawal or aggressive behavior. Emotional and verbal abuse may happen for months and years before any damage is evident. By the time the injury is noticed, the person may already be having significant difficulty coping with life. Emotional and verbal abuse ultimately affects a persons development and sense of self-worth. What can I do to prevent someone else from verbally abusing my child or another child? Always be aware of other influences on your child. Just because you have your temper under control doesn’t mean that all the other adults in your child’s life do. Teachers, coaches, babysitters, siblings, older siblings of friends, and even other children’s parents can harm your child by demeaning or humiliating him. Make a point of asking your child about his relationships with other adults. Of course, he might not tell you if someone is verbally abusing him – he might not even realize it. So you’ll want to be on the lookout for signs of emotional turmoil: Nightmares, bed-wetting, school phobia, and other signs of excessive anxiety may be part of the “code” you’ll have to crack in order to figure out what’s troubling your child. Sometimes a family counselor or psychologist can assess your child for signs of verbal abuse. If you think the abuse is occurring at school, be sure to take your child to be evaluated by someone independent of the school. Oftentimes your family doctor or pediatrician can help you with a referral. Do whatever is necessary to get your child away from the abuser — if a P.E. coach is taunting him, for example, ask that he be placed in a different class. And be sure to make your concerns known to the principal, director, league officials, and so on. Children who are emotionally abused may experience speech disorders, lags in physical development, failure to thrive (especially in infants), asthma, severe allergies, ulcers, substance abuse, or hyperactive/disruptive behavior. …”When a child is frequently called stupid or dumb, he tends to accept this negative identity and believe himself as described. Examination of the children’s symptoms and the behaviors of the teacher shows that verbal abuse was one of the most characteristic behaviors of Mr. X and led to a dramatic lowering of self-esteem in 13 and 17 children. What proved to be alarming to many of the parents was how quickly their children “adapted” to this teacher’s negative perceptions, accepting the labeling to “fit in” with the classroom environment. Previous Post: « My child is a late talker and not potty trained yet -HELP!